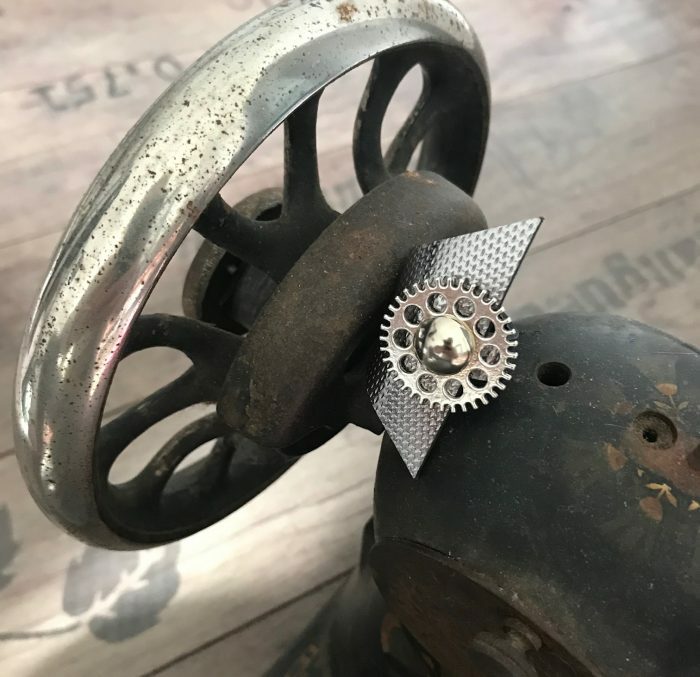 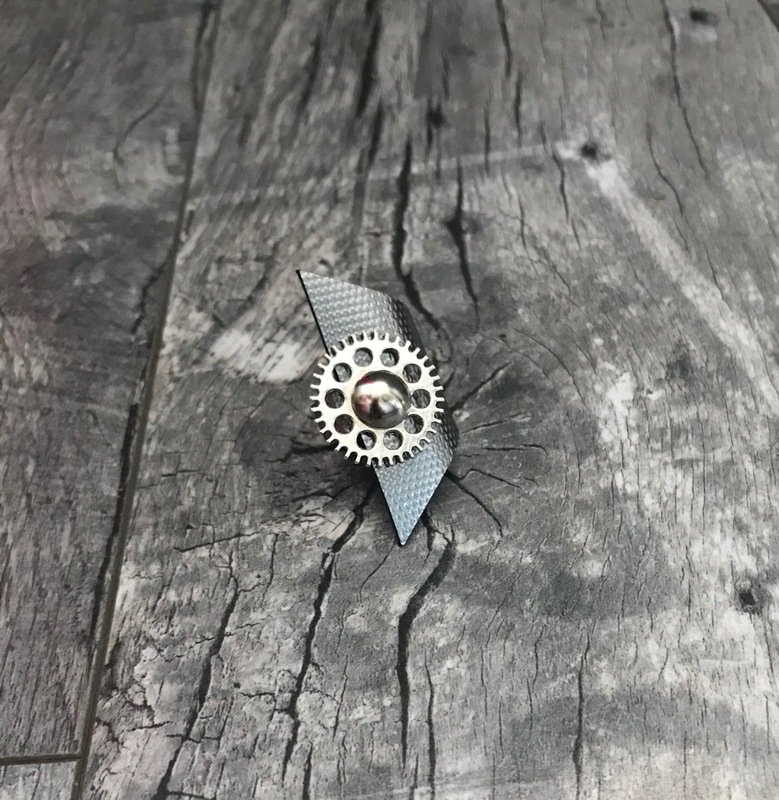 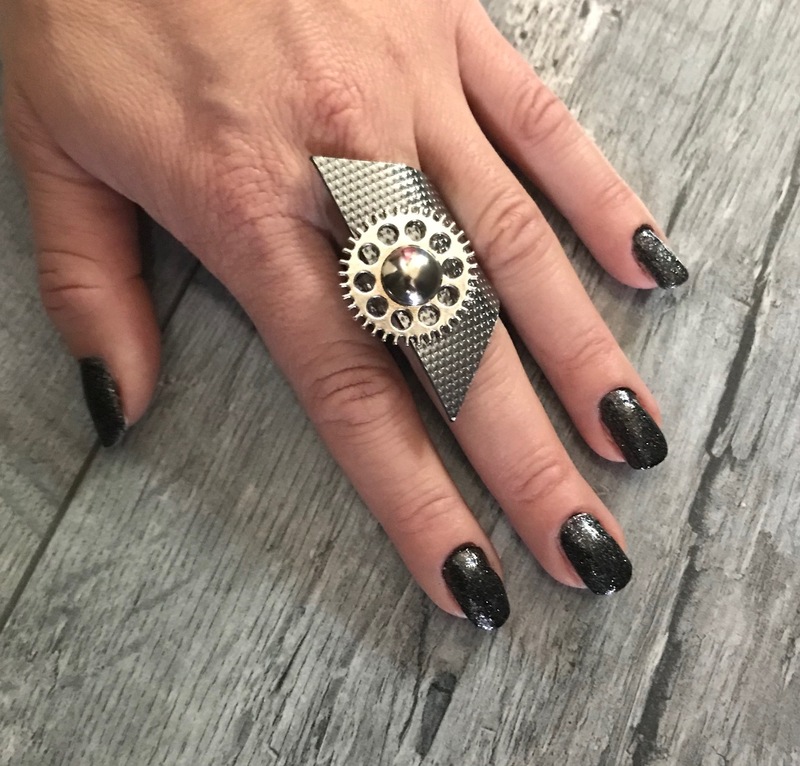 HANDCRAFTED STEAMPUNK LEATHER RING FOR TRUE FASHIONISTAS! 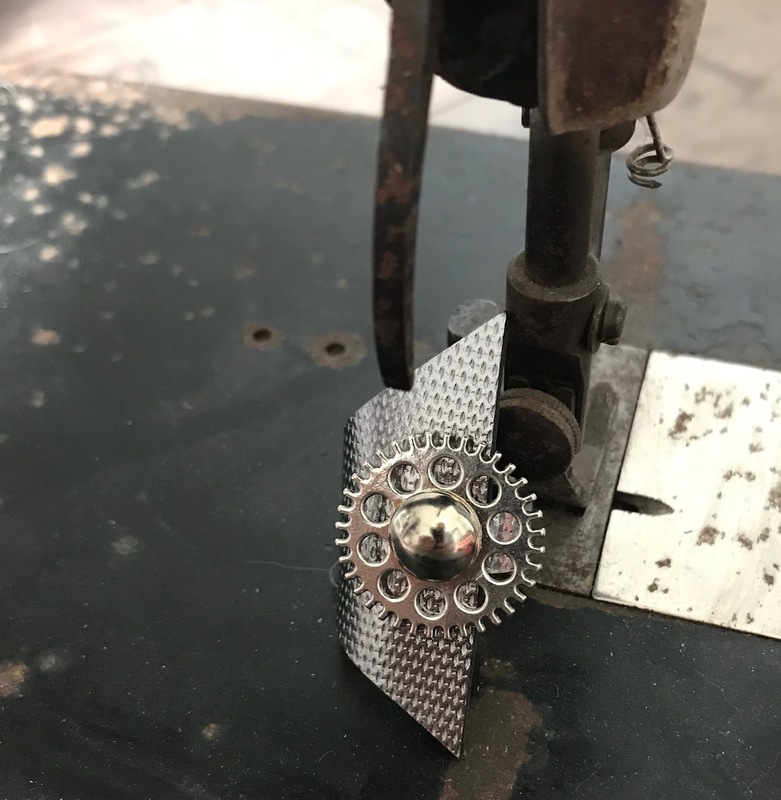 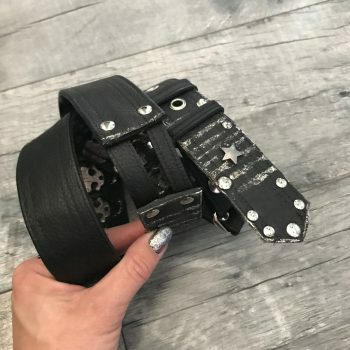 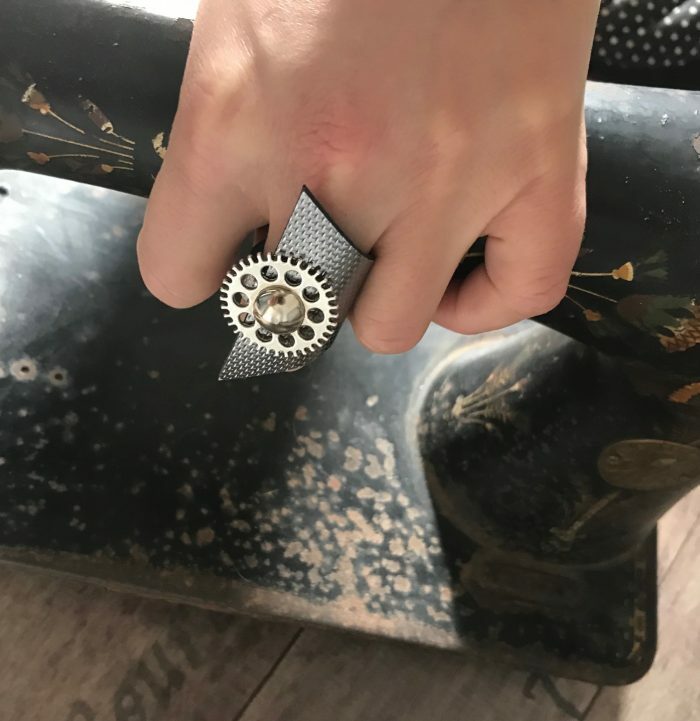 EACH STEAMPUNK LEATHER RING IS HANDMADE FROM SCRATCH, USING THE BEST ITALIAN LEATHER AND METAL GEAR. 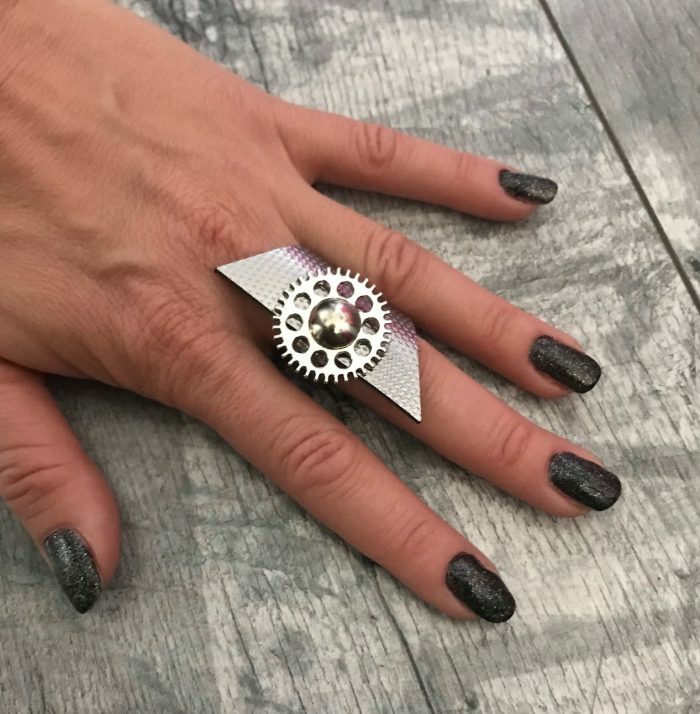 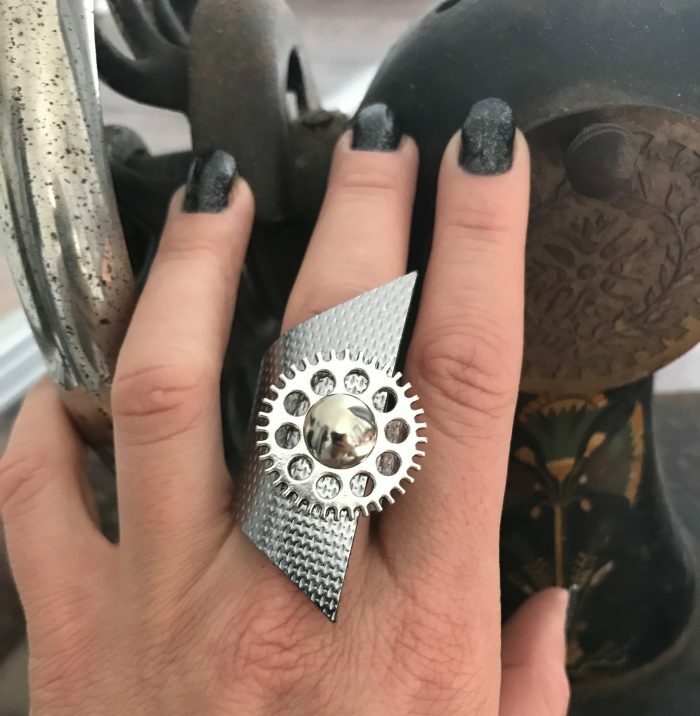 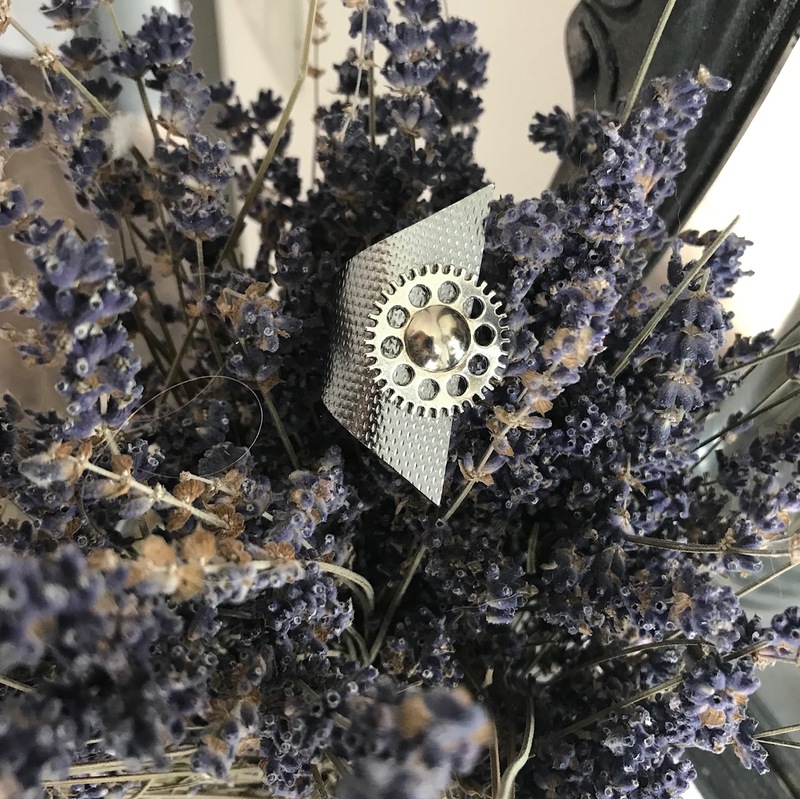 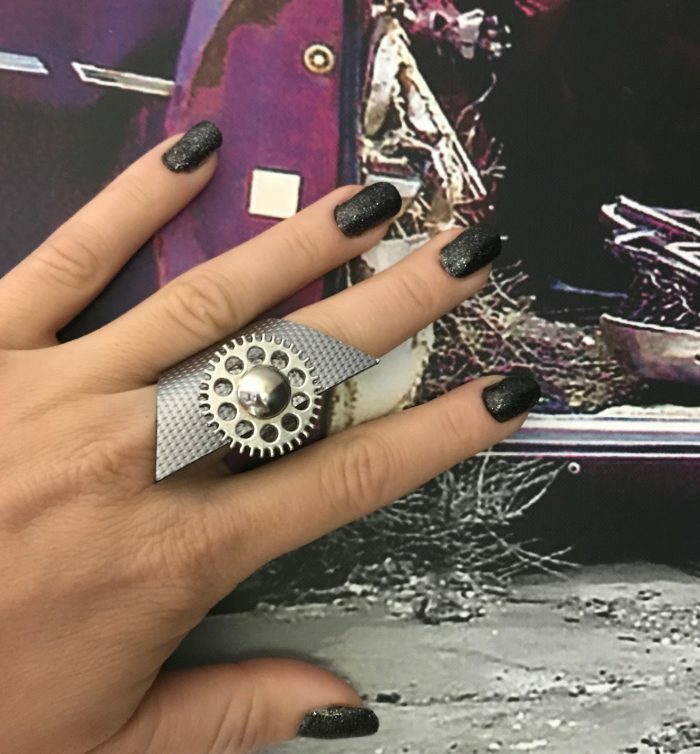 BEAUTIFUL TONE OF SILVER COLOR GIVES A CONTEMPORARY FEEL, BUT STEAMPUNK DETAIL GIVES THIS RING THE RIGHT AMOUNT OF EDGY ATTITUDE. 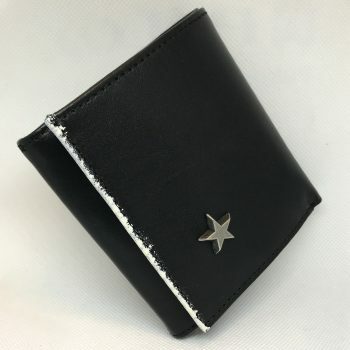 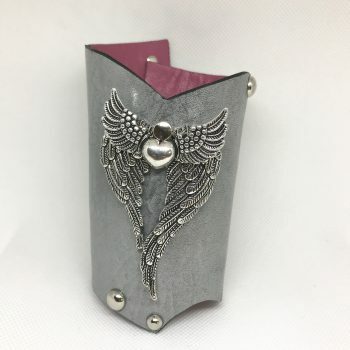 DURABLE AND UNIQUE, SIMPLE AND SPECIAL, ELEGANT AND EDGY. 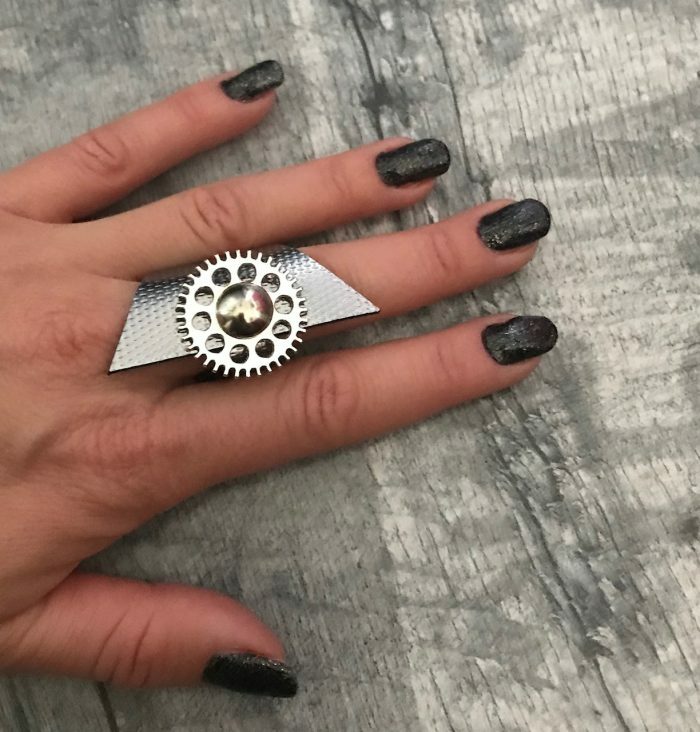 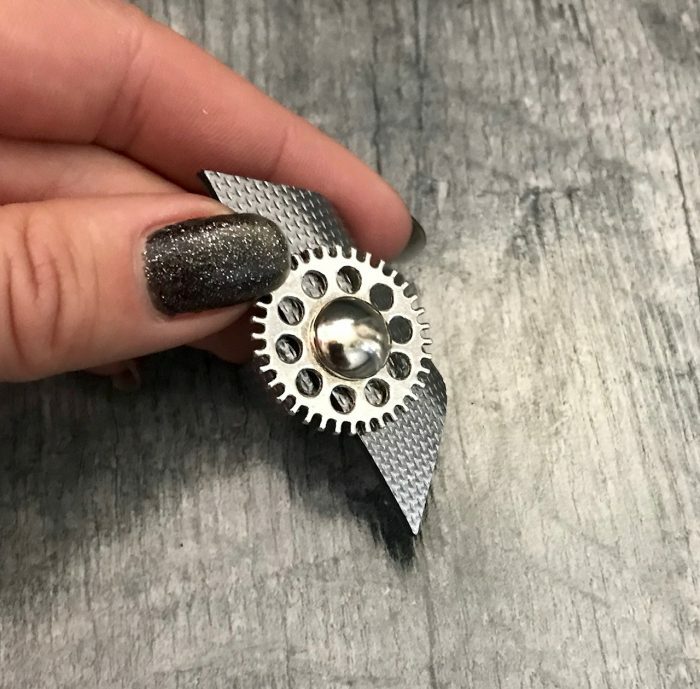 This statement piece combines steampunk and modern, fashionable design. 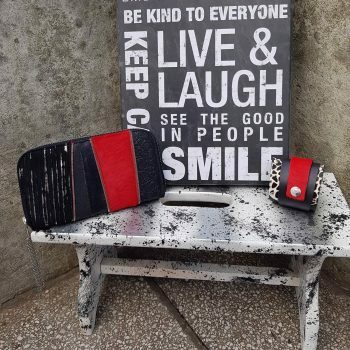 It is comfortable to wear and very durable at the same time. 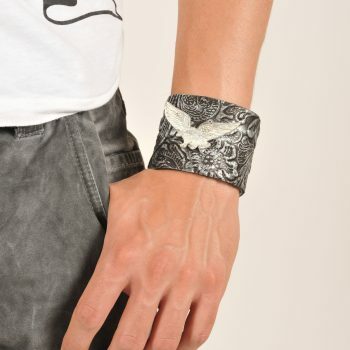 Try to wear it with various stylings, from casual to edgy. You are simply going to love this ring! 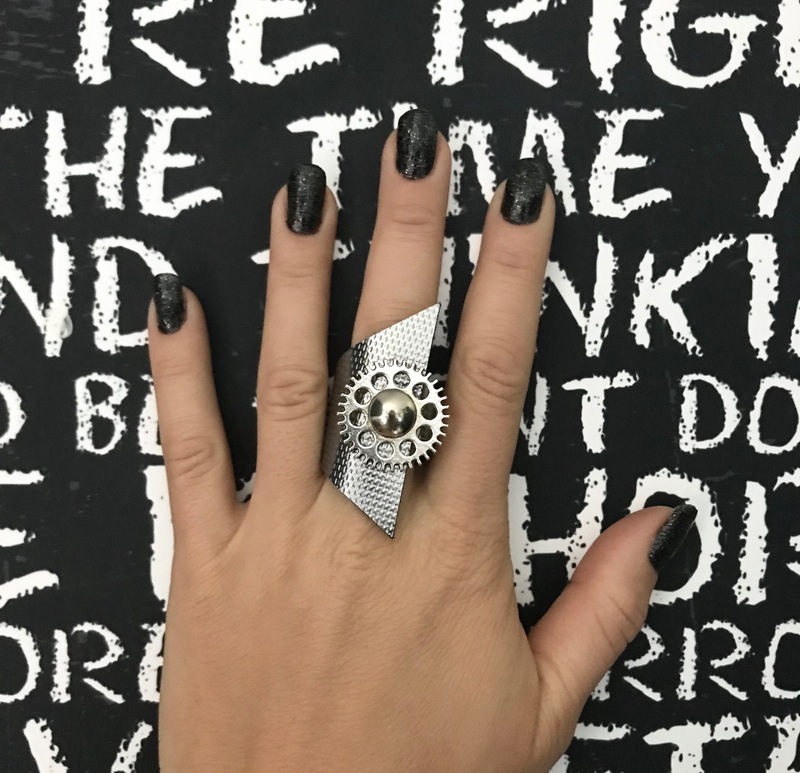 THE SPECIAL SHAPE OF THE RING GIVES THE ILLUSION OF LONGER FINGERS!! If the ring gets wet, simply dry it. 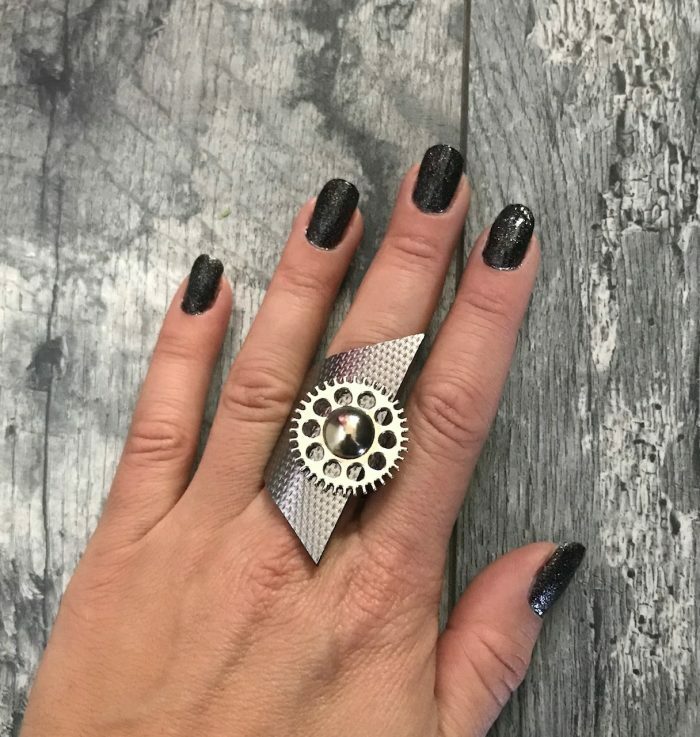 Size tip: women that usually wear clothes size S, fit the ring size S.
women that usually wear clothes size M, fit the ring size M.
women that usually wear clothes size L, fit the ring size L.